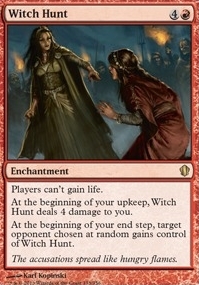 Baleful Strix ($7.47) Price History from major stores - Commander 2013 - MTGPrice.com Values for Ebay, Amazon and hobby stores! 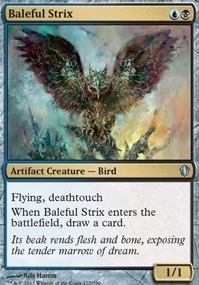 Card Text: Flying, deathtouch When Baleful Strix enters the battlefield, draw a card. 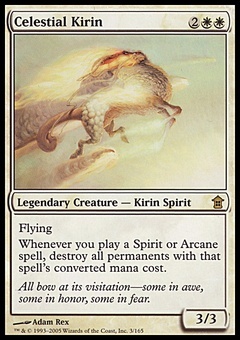 Flavor Text: Its beak rends flesh and bone, exposing the tender marrow of dream.